The original Levens Hall quilt (c.1708) has been quilted in a red cross-hatched grid, about 1/2" all over. My quilting, also in red thread, is cross hatched about 1 1/2" all over. 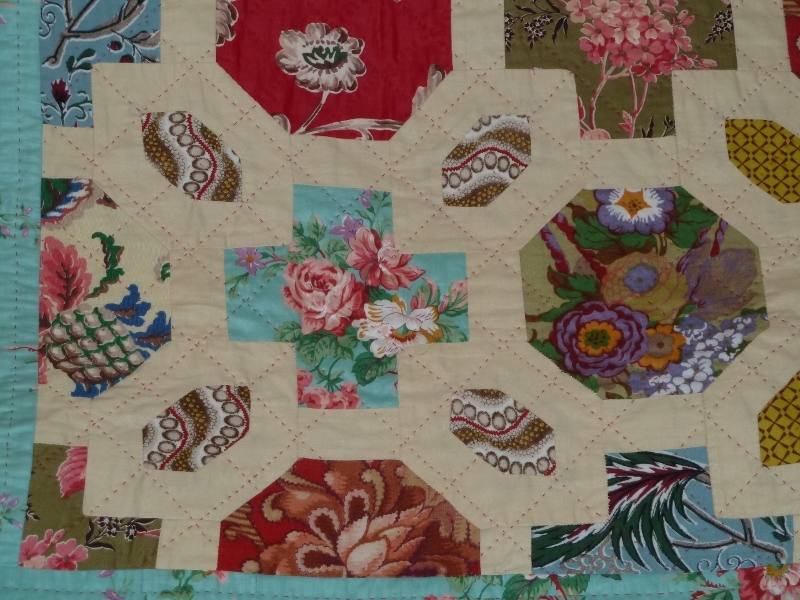 Crosses, octagons and lozenge shapes have been fussy-cut to showcase special fabrics. the Quilt ist so beautiful. Your quilting is perfect. Thank you Manuela! 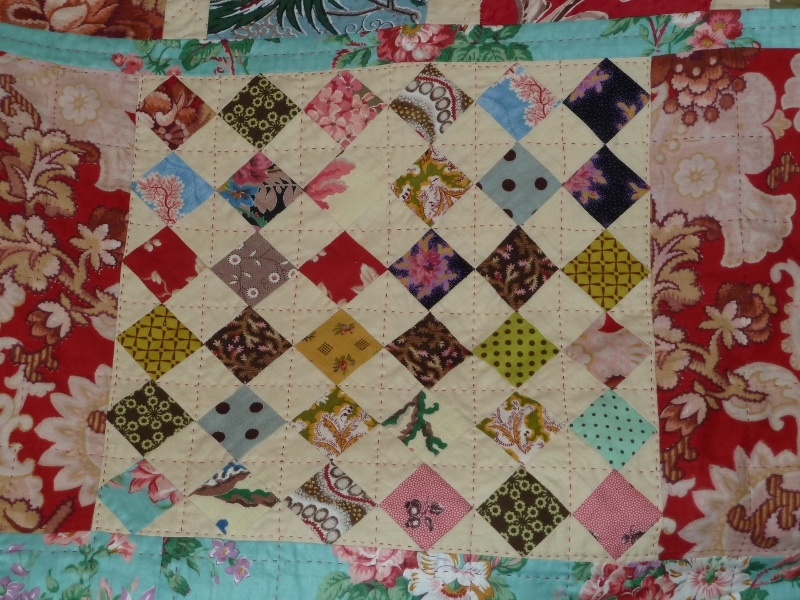 Quilting in red thread was fun ... You can really see the stitches and realize how many stitches there are! Your book is one I must add to my library. So inspiring.